For both organizations and individuals, we advocate positions to elected decision-makers and bureaucrats at all levels of government in Ottawa, in Ontario and in other provinces across Canada. the Canadian Federation of Apartment Associations / Fédération canadienne des associations de propriétaires immobiliers (CFAA-FCAPI). For CFAA-FCAPI, John Dickie acts as President and main spokesperson. As Vice-President, June Carter also speaks for CFAA-FCAPI on various issues, or in John's absence. 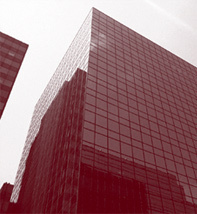 As a firm, we provide the executive direction and administrative support for CFAA-FCAPI. Over the two years we have led CFAA-FCAPI, we have revitalized the organization. We tap all members of our firm to perform CFAA-FCAPI's government relations, and its general operations, in a cost-effective way. For more information, see www.cfaa-fcapi.org. For the Eastern Ontario Landlord Organization, John Dickie acts as Chair of the Board of Directors, and the main spokesperson. As Vice-President, David Lyman also speaks for EOLO on various issues, or in John's absence. As a firm, we provide the executive direction and administrative support for EOLO. We tap all members of our firm to perform EOLO's government relations, and its general operations, in a cost-effective way. For more information, visit www.eolo.ca. John Dickie, David Lyman and June Carter have also represented many individual multi-residential and commercial taxpayers and non-profit organizations in government relations about rent control, landlord and tenant law, property tax exemption claims, vacancy rebates, the relative levels of property taxes and other matters of importance to those who manage, rent or own real property in Ontario and across Canada. We would like to explore what we can do for you. EOLO and CFAA-FCAPI have both given explicit consent for their information to appear on this Website. Copyright Dickie & Lyman Lawyers LLP 2003 | 1600 Carling Ave., Suite 640, Ottawa, Ontario K1Z 1G3, Canada.